Peter is an experienced strategic marketer and leadership coach. Over the last seven years he has used his experience in strategic and disruptive marketing to help SMEs in sectors as diverse as manufacturing, software, beauty, construction, engineering, professional services, and contracting to improve their competitive position, financial performance and internal marketing capability. As Programme Tutor with the Goldman Sachs 10KSB Programme at Aston Business School he has coached, mentored, and supported the owners of many high growth SMEs. 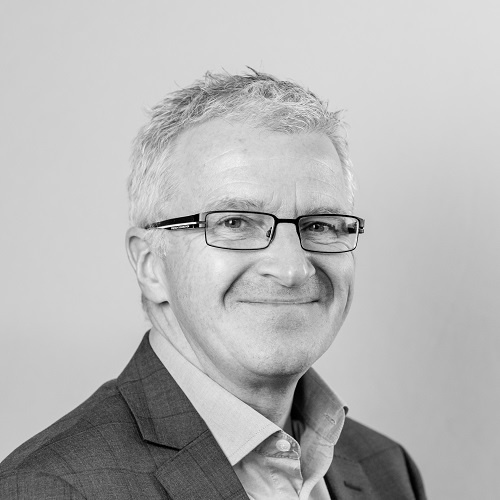 Peter has corporate experience in the automotive, construction and financial sectors including Marketing Director for the UK’s leading fleet management business, Lloyds TSB Autolease. Developed marketing strategy and brand repositioning to support 25% p.a. growth. Created new business model and value proposition to establish Dutypoint as the ‘go to’ player in pump support to deliver incremental £1m profit within 3 years. Execution of diversification strategy to grow business in automotive/rail sectors and reduce dependence on dominant customer. Building internal marketing capability from scratch. Responded to competitive challenge from aggressive brand leader by creating new identity and launching of pro-active lead generation campaign. Created and led implementation of market segmentation strategy which increased profits from £11m to £34m and improved customer experience from 23rd to 1st in the sector. Worked with founders to identify growth opportunities and managed creation of forward looking brand to revitalise this trusted but traditional regional business. Worked with senior team to create a new vision and improve customer focus, marketing strategy, accountability and teamworking.